Asiavision’s 2nd and 3rd NLE workshops were successfully conducted in Vietnam recent July 2016. The workshops were organized in cooperation with Vietnam TV, whom after the first workshop in Kuala Lumpur requested to hold the same workshop in Vietnam. Asiavision aims to increase the quantity and quality of news exchange by providing adequate capacity building training. The participants were required to produce a music video at the end of the workshop as part of assessment. The music video production allows full adaptation of skills that are required while editing a news report, hence providing a good opportunity for the participants to experience a hands-on training. The main trainer for both workshops was Mr Choi Ki Hong, the former trainer for the first NLE workshop back in February. The 2nd NLE workshop in Ho Chi Minh City (4th-8th July), taken place at VTV9 was dedicated to local VTV news staffs. 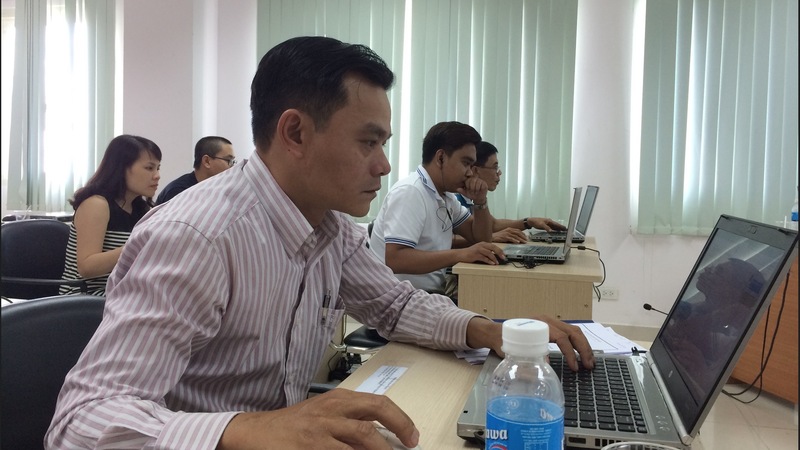 This in-country training saw 20 participants, ranging from reporters to engineers and graphic designers. Some participants flew from other cities in Vietnam such as Da Nang, Phu Yen and Can Tho to attend this workshop. The 3rd NLE workshop was held in the VTV Headquarter, Hanoi (11th-16th July). It was attended by 18 participants from 16 member countries. Most of the participants were new to digital editing, with no prior editing experience. Professor Yoon Chun Suk attended the Hanoi workshop as an assistant trainer. Professor Yoon is a former SBS Korea reporter, currently working as a Professor in Ajou University, Korea. Besides assisting Mr Choi, he also gave two lectures on his views on the importance of editing, providing useful insights from his own personal experience. Both workshops ended successfully with the presentation of final music videos produced by the participants. The result of the feedback survey shows that members are highly satisfied with the program, and are willing to recommend this workshop to those who have not yet attended. Asiavision is planning to continue providing in-country NLE workshops in response to members’ requests.